The Muppets new show on ABC has picked a winning marketing campaign to draw in viewers. Capitalizing on the popularity of shows like Real Housewives and Love and Hip Hop as well as social media’s apparent love of all things nostalgic, the Muppets have let two important details slip about their new “reality” show about the Muppets lives. At the beginning of the summer, we found out that Miss Piggy and Kermit had ended their decades long relationship. Then a few weeks ago, Kermit was “spotted” with a new lover, Denise, the pig. And the internet lost its mind. In today’s social media landscape you need two things to succeed; drama and memes. This story has both. First, you have the end of marriage that most people in their 20s and 30s (those folks that advertisers love) associate with their childhoods. It’s like finding out your mom and dad are getting a divorce. Then you add dad’s new girlfriend into the mix. And let’s be real, dad’s new girlfriend is a younger, sleeker version of mom. The streets were hot and the memes were rolling! It’s a great strategy because in today’s reality television landscape, this is what viewers eat up. 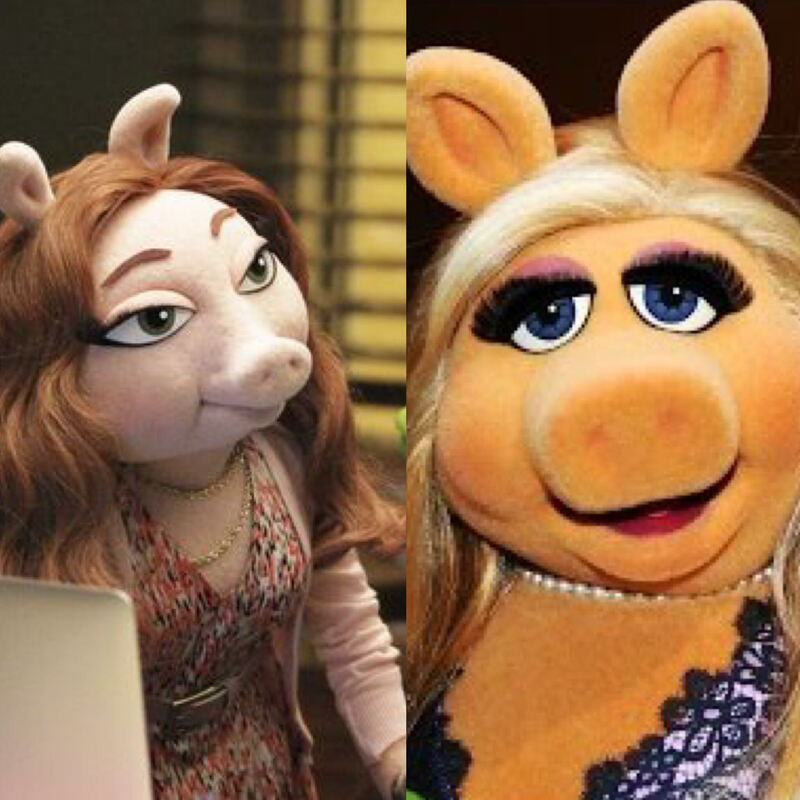 We come to watch the Real Housewives of Whereever toss glasses of wine in each other’s faces and the D-list stars of Love & Hip Hop pull out each other’s weave, so in adding that element of personal drama, this show just went from a Muppet-style version of The Office to which pig is gonna get slapped first. It was also interesting to note that while most of these rivalries tend to see fans falling on either woman’s side, many fans denounced mild-mannered Kermit as a womanizer and Black Twitter called out his seeming preference for pigs over other frogs, jokingly likening it to Black men who only date White women. And although Denise has been set up as the stereotypical man-stealing golddigger (one gif shows her pointedly looking at the camera/Kermit and biting her pen), she’s nothing but polite and sweet on her Twitter (yes she has a Twitter account). ABC has created the perfect mash-up of controversy for what was originally seen as an innocuous reboot of the Muppets and the streets will be watching, if for nothing more than to see that TPOT get hers. The Muppets premiered Sept 22nd on ABC. This entry was posted in Blog. Tagged ABC, Bowie, Denise, Kermit, Kermit the Frog, Miss Piggy, Shanna Bowie, The Muppets.